On Saturday January 19th at 7.30pm there will be an illustrated talk in the Abbey's visitor centre. 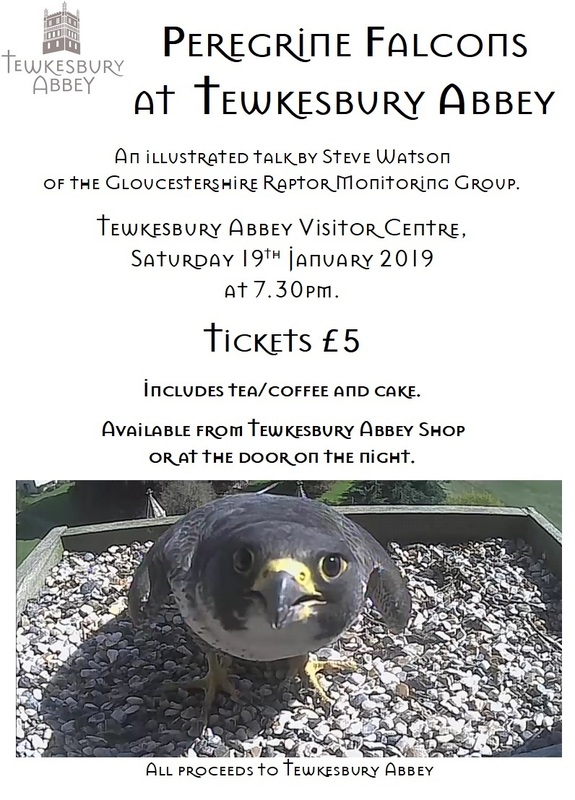 This will be a chance to learn all about peregrine falcons from the experts of the Gloucestershire Raptor Monitoring Group. You can also hear the story of Christopher Robin, Alice, Bella and Paddington at Tewkesbury. Tickets will be £5 and are on sale in the Abbey shop or at the door.